Built-in integrated sonar capabilities allow simultaneous sharing of all internal sonar. 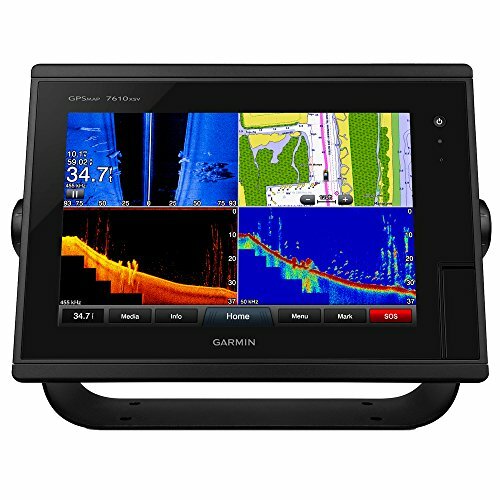 Supports a full range of Garmin transducers including a single unit dual-CHIRP, plus DownV? and SideV? scanning sonar for the clearest images on the water. Also supports 50kHz/200kHz, 77kHz/200kHz plus Minn Kota® and MotorGuide® trolling motor transducers. Internal 10 Hz GPS updates your position and heading 10 times per second. Support for sailing and cruising features such as our best expandable maps on the market, radar, autopilots, multiple sreens, IP cameras, thermal cameras, FUSION-Link, digital switching, SmartMode™, and GRID™ remote input device. Transducer sold separately.